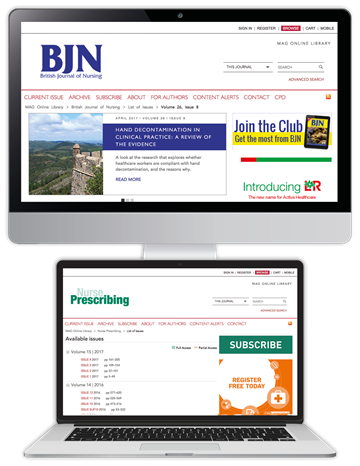 For over 25 years, British Journal of Nursing (BJN) has been the practising nurse's journal, providing an evidence base for clinical practice and an academic platform for professional development. It now contains more clinical articles, more practical content, and new 'bite-size' educational features, making the information you need more accessible. 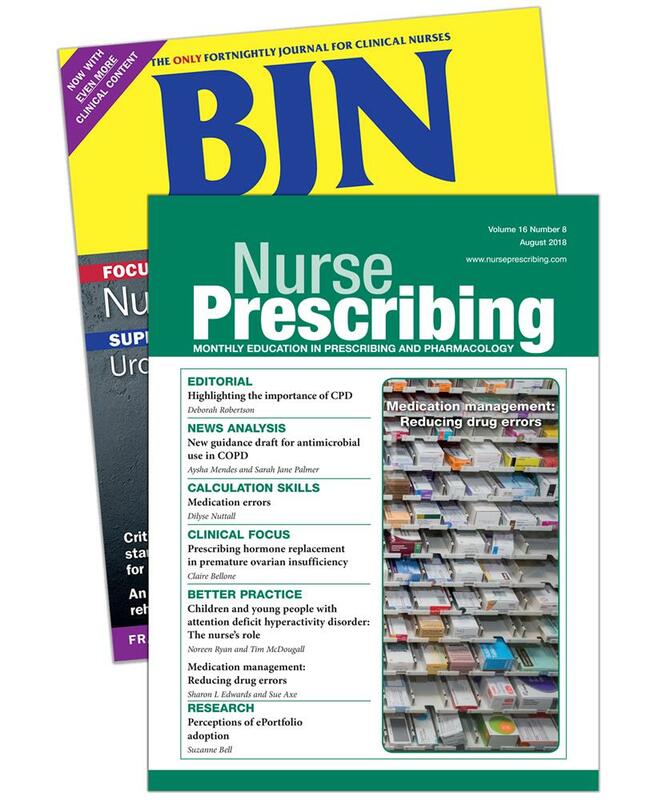 Nurse Prescribing is the UK's leading publication for non-medical prescribers. It publishes the latest clinical reviews, research and peer-to-peer guidance, delivering specialist support on the subjects that matter, with a focus on pharmacology and calculation skills. Order now with code BJN18P and receive two journals for the price of one - a saving of up to £185 per year. Select your subscription option below – your free subscription will be added at the checkout.